Washington–Finance Minister Arun Jaitley has raised the issue of hike in the US visa fee for Indian technology professionals, which he said was targeted largely at the Indian IT (information technology) companies. “The finance minister held a bilateral meeting with United States Trade Representative Ambassador Michael Froman expressing India’s concern over the hike in the H-1B and L1 visa fee which is discriminatory and in effect, largely targeted at Indian IT companies,” the union finance ministry said in a statement. 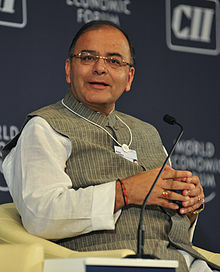 Jaitley is currently on a seven-day official tour to Washington DC to attend the Spring Meetings of the International Monetary Fund (IMF) and the World Bank and other associated meetings. Jaitley is accompanied by Reserve Bank of India (RBI) Governor Raghuram Rajan, Secretary Economic Affairs Shaktikanta Das, and Chief Economic Adviser Arvind Subramanian. Jaitley also emphasised upon India’s keenness for early conclusion of a Totalization Agreement with the United States, for the purpose of avoiding double taxation of incomes with respect to social security taxes. “As per industry estimates, Indian professionals have contributed more than $25 billion to the US social security during the last decade, without being able to retrieve their contributions,” the statement said.